Manatee Health Assessments, Kings Bay, Crystal River, Citrus County, Florida USA. November 28, 2012 10:56am. 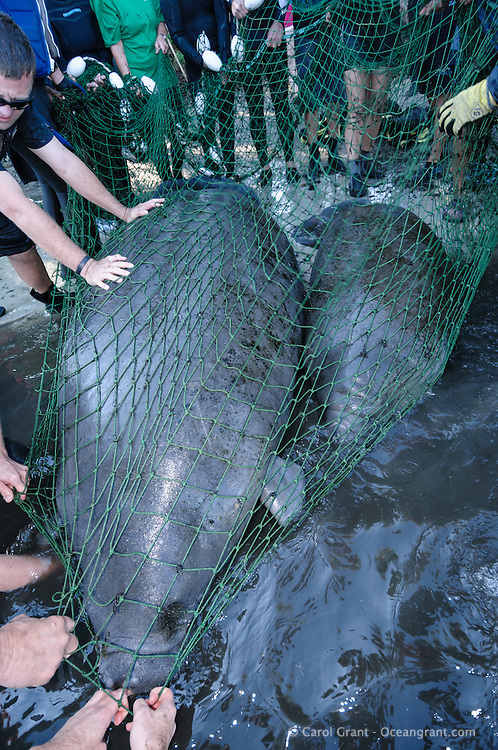 Researchers from several federal and state agencies work together to gather data during the manatee capture and health assessments. A mother manatee is netted along with her calf. They will be kept and released together after the data and sample acquisition process. The manatees will only be kept out of the water for a safe, pre-determined timespan.